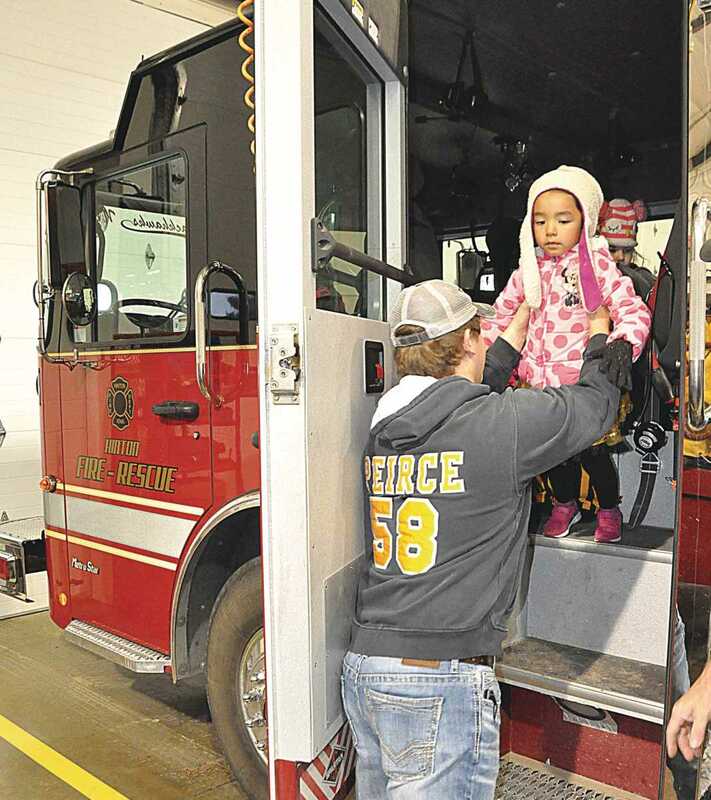 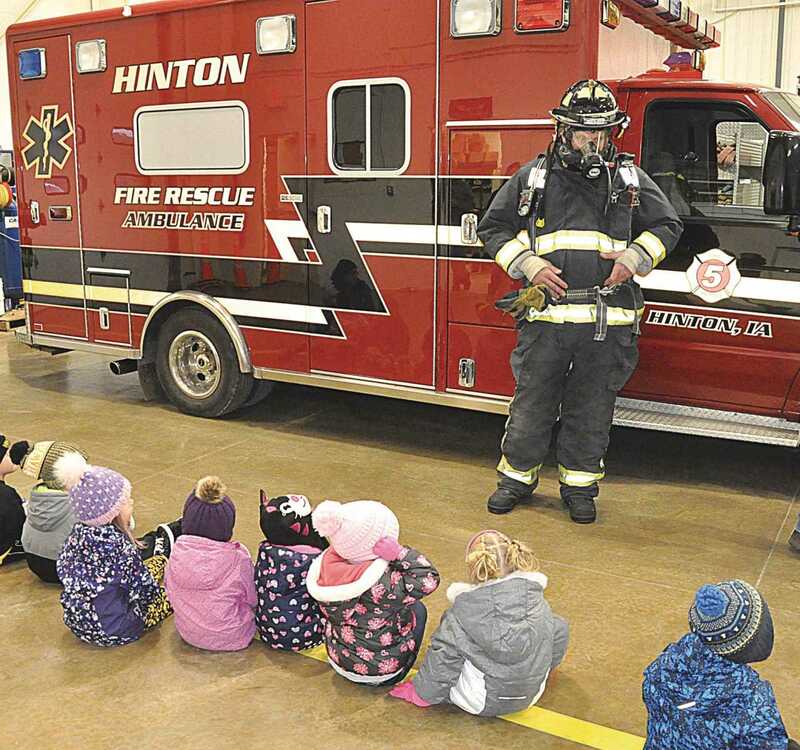 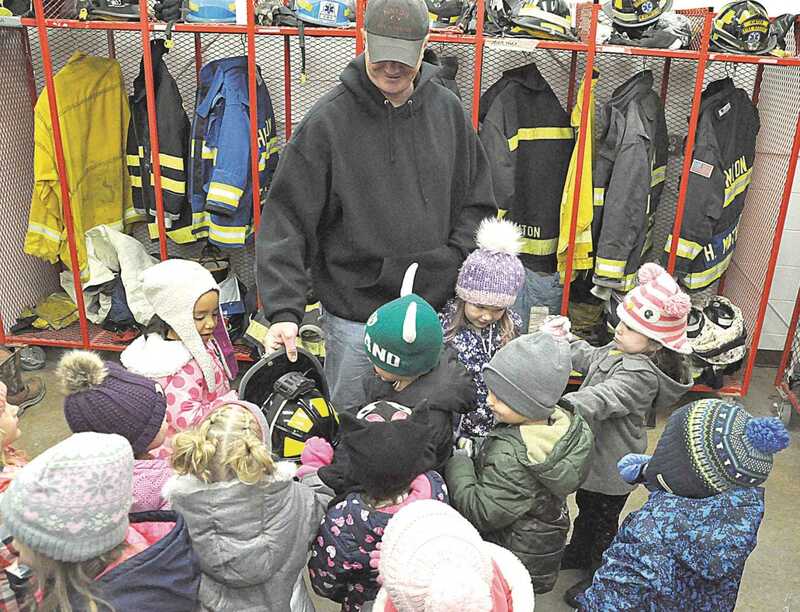 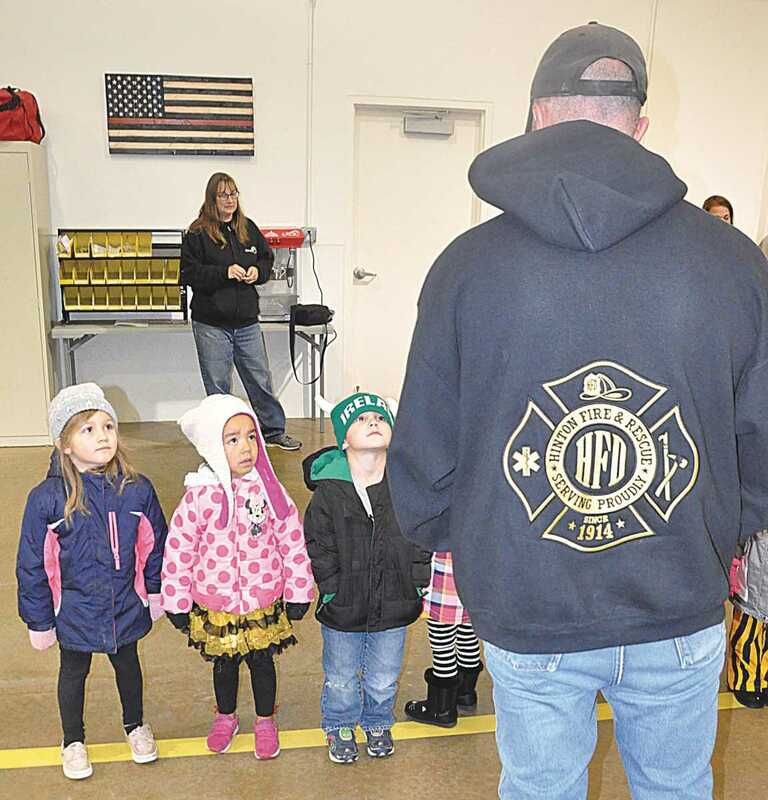 (Sentinel Photos by Kim Fickett) Around 300 Hinton Community Elementary School students in preschool through third grade visited the Hinton Fire Station on Friday morning in recognition of Fire Prevention Month. 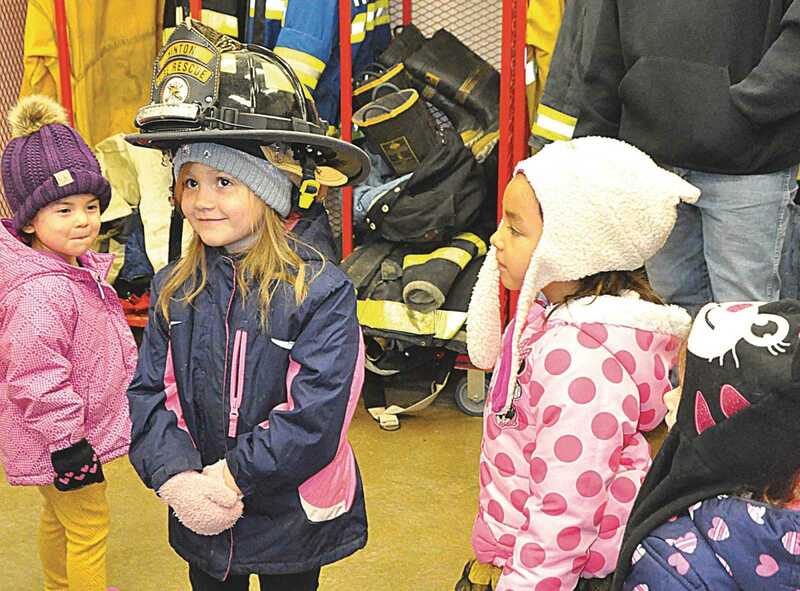 This year’s Fire Prevention Month theme is: Look, Listen, Learn, Be Aware. 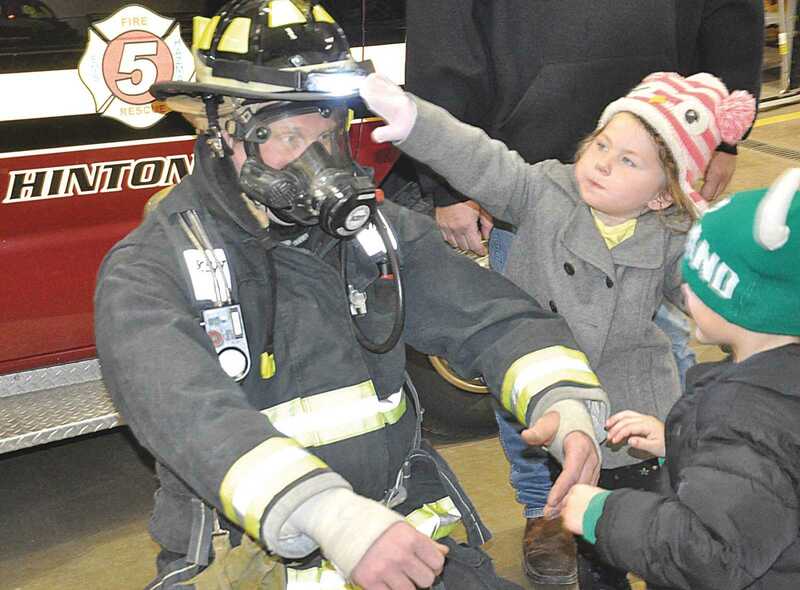 Fire Can Happen Anywhere. 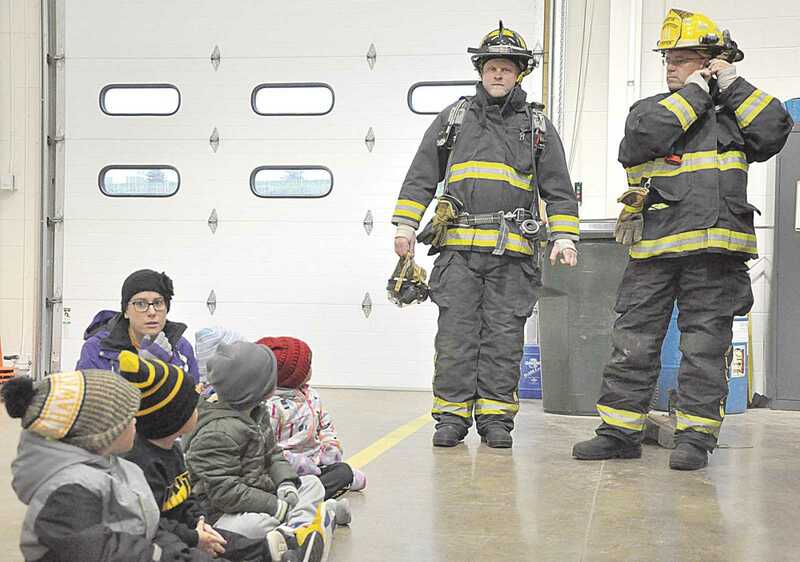 Students learned why it’s important not to play with matches, and why they should stay clear of the stove/oven and hot pans. 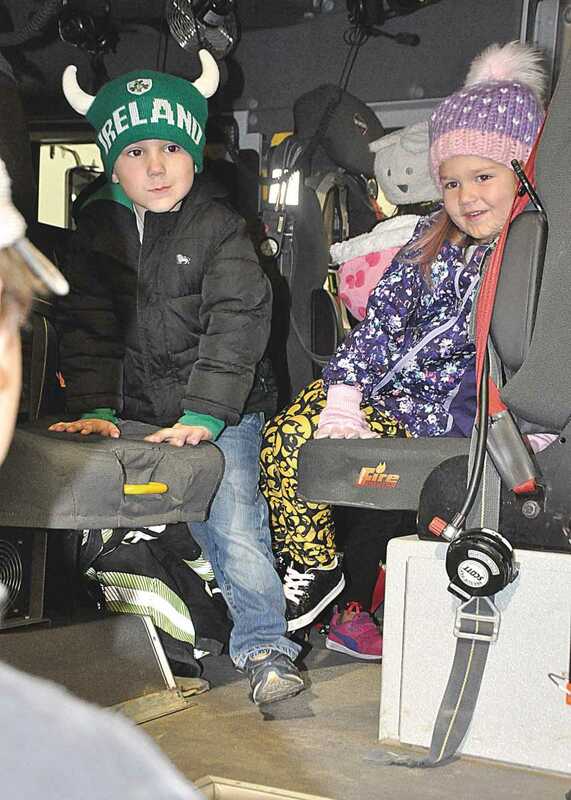 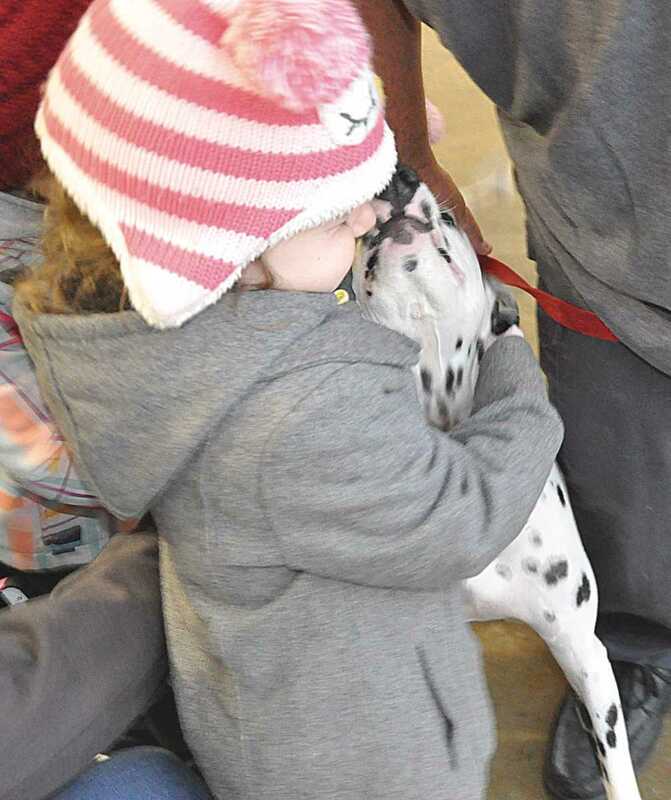 During their visit they also got to see the firefighters in their full gear, received a tour of the station, checked out the ambulance and fire truck, and even got to pet the station’s Dalmation puppy Phoenix.